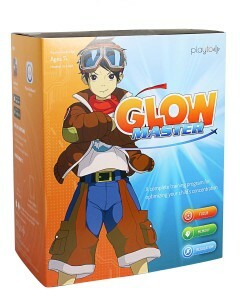 GlowMaster is an experiential game that children of all ages love to play. Using safe and non-invasive neurofeedback technology, it helps to improve their concentration skills and ability to focus. It’s easy to include in your child’s routine and self-motivated gameplay is a great way for them to learn at their own pace. Students who have played the game have shown increases in their test scores, grades and ability to stay on task and focused in the classroom – and 9 out of 10 parents saw an improvement in their child’s concentration. Access to the Playto Dashboard, an easy-to-use app that allows you to track and monitor your child’s progress. Upon purchase, you’ll be asked to activate and set up an account for your child. Accounts for additional players can be purchased within the GlowMaster app.